Planning ahead is not always an easy proposition, but taking the care to consider critical questions about your future and the future of your estate empowers your loved ones. It’s an act of care to take the time to consider how to protect your family members in the future. By thinking about your wishes for your end of your life care, you not only leave behind a very powerful gift for your loved ones but you also gain greater clarity about how you plan to live your best life and to identify your purpose. There is a gift that you can give yourself as well as your loved ones by scheduling a consultation with an experienced estate planning attorney. Most people avoid this topic or scheduling the meeting because it is a scary and difficult topic for people to discuss. However, if you allow yourself to face the inevitable, that someday you may become unable to make decisions for yourself, or pass away suddenly, you will be able to make decisions that empower your loved ones well into the future. You can live your dreams, make the necessary changes in your life and connect more deeply with others from the current time. Scheduling a consultation with an experienced estate planning attorney is often the first step for many people who are contemplating how to handle their future. Identifying your unique needs and determining what strategies or documents you may already have in place as well as those that may not be serving you any longer is extremely important for clarifying your expectations. Furthermore, this decreases the chances that your loved ones will end up in conflict in the future because you did not take the necessary steps to plan ahead. 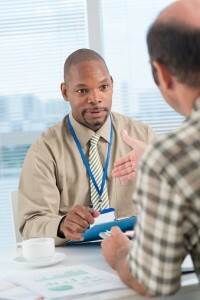 A Virginia estate planning lawyer can help. Planning for Your Future Healthcare Decision-making: What Are Superagers? 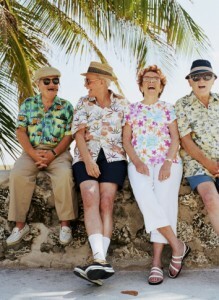 Some elders will retain a significantly sharper memory and cognitive ability than their peers. In a recent study, it was identified that these people all carry a very unique trait. The natural process of brain decline regarding memory begins in the late 20s and early 30s, however the average ager, according to a recent study indicates that memory is atrophying at twice the rate of someone who is classified as superager. Atrophy progression seems to blocked by superagers. One of the most important connections for you to make is that you may struggle with a cognitive decline at any point in time, particularly after a major health care event or a car accident, for example. Paying attention to your health at all ages is important, but you might not always be able to make decisions for yourself. If you’re incapacitated but have clear wishes about your medical care, another person should know these concerns and be legally allowed to make them on your behalf. Having critical legal documents in place such as stipulating who is eligible to make medical or financial decisions on your behalf can make a huge difference for your loved one’s ability to step in and articulate your wishes for you. No one expects to be a victim of an accident but taking the necessary planning steps now can help to minimize the chances that you and your loved ones will be confused and unsure of next steps. Contact a Virginia estate planning attorney today to learn more. If you have the responsibility of taking care of your aging loved ones, this is an extremely common situation that is facing more people in the sandwich generation. The sandwich generation often has children of their own, while they are also helping with the health care management or the costs associated with the loved one. Putting together a living trust. Planning for the possibility of long term care, including long-term care insurance. Ensuring proper documents are in place. Having a consultation with an experienced estate planning attorney can help you address many of the issues associated with the estate planning and the elder law planning process. Learn more about how estate planning Virginia can help you by setting up a consultation today. Only everything has changed in the last 25 years or so. According to the chief executive officer of the American Association for Retired Persons, that includes the way we approach growing older. 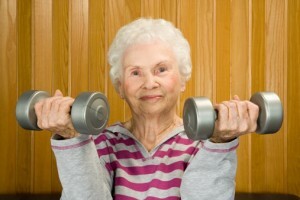 Not only are people living longer, but also they are also living better, she indicated. “As we get older, we understand that our experience has value and look for ways to make the most of our added years,” she wrote. “We also understand the rigors of family caregiving and recognize that we may need help in providing care for a loved one. And we wonder who will provide care if and when we need it. The website smallbiztrends.com carried an article not quite two years ago on the subject of age discrimination, as faced by people on both ends of the spectrum. “Age discrimination is a reality in the current job market,” began the article “The young men and women graduating from college over the last five years have had it tough. In fact, this generation has the highest unemployment in the last 50 years. Age discrimination is rampant because this generation does not have the exact skills or experience employers are wanting. Along with the shared problem of the way potential employers view the experience and skills of potential job seekers who are fresh-faced and those going gray, the website suggests there is a common approach to facing the issue. “It is all about demonstrating and not telling what you can do to solve your future employer’s problems. The days of waiting for a position to be posted and then applying for it are over. More than at any time in history, personal relationships are paramount to your employment. Those under 30 have mostly online relationships. The over 50 crowd is almost entirely offline when it comes to knowing people. “The problem is that today’s world requires both,” the smallbiztrends.com writer stated. For the record, according to the website of the Equal Employment Opportunity Commission, a law that is itself getting a little long in the tooth has some specific protections for people past the age of 50. Many older couples, those approaching or even well past retirement age, have wisely made financial plans for the rest of their lives together. What few do, because it’s just too emotionally difficult in most cases, is make further plans for one or the other of them to carry on alone. More often than not, it is going to be the woman who survives in a married couple, and women face much more difficulty in planning for a secure future, as noted in a recent article in The New York Times. “The household income for widows typically declines 37 percent after a spouse dies, far more than the 22 percent income drop that men experience, according to government figures,” the story stated . “The assets of widows also tend to fall substantially more than widowers’. There is, however, some good news. People who are willing to become a caregiver to a loved one, regardless of the circumstances, are taking on an awesome responsibility. That last guideline might sound simple, but it’s perhaps one of most overlooked on the list, according to the website. “Many caregivers are so accustomed to providing help and seeing to another person’s needs that they don’t know how to ask for aid themselves,” the article notes. “Take advantage of the help that’s available. Your family is your first resource. Spouses, brothers and sisters, children and other relatives can do a lot to ease your caregiving burden. Let them know what they can and should do. The American Association of Retired Persons has launched a new service to help people with work issues, which may seem weird since “retired” kind of implies that’s all in the rearview mirror. But for many people are approaching, have arrived at or are past retirement age, no longer working may not be an option, whether it’s for financial reasons or a need to continue to keep busy. One recent article, written by Kerry Hannon, was titled “8 Common Mistakes Older Job Seekers Make,” and it was highly informative. “If you are job hunting in your 50s, and some of these ‘don’ts’ describe you, here’s what to do,” according to the story. Keep busy. Employers look for self-starters. Remain active by consulting or blogging in your field, so you can raise your profile. Ruling Out Jobs. Don’t overthink the job description. Treat a job posting as an ideal. Waiting for the Perfect Job. Don’t pass on a job because you don’t think it’s an ideal fit. It might be. The Virginia Beach Police Department is hoping to expand how safe senior citizens feel in their home by providing them a narrow focus on who is at their front door. Operation Lookout Expanded is a program offered by the VBPD, in partnership with the Virginia Beach Sheriff’s Office that has “the goal of making our senior citizens feel safer in their homes,” according to the announcement. With financial support from a grant, Operation Lookout Expanded offers installation of a 1-3/8-inch large-view peephole in the front door, following a free home security assessment upon request, by a crime prevention specialist. “Even if you are not available for this incredible service please consider your parents, friends and neighbors who are eligible,” the announcement added. The stresses and strains of caring for an aging parent, and especially determine what form that care should take, can push apart even the closest of siblings. A recent story in The New York Times describes how two sisters nearly had a falling out after the death of their father in 2011 when it came to what was best for their 84-year-old mother. “Elder mediation, an emerging area within family mediation, has gained so much traction that in 2009 the Association for Conflict Resolution, a professional organization, started an elder decision section,” the article states. The story cites a 2001 report in the journal Conflict Resolution Quarterly that showed nearly 40 percent of adult children who cared for a parent said they experienced major conflict with a sibling. That conflict could be “over the amount of care, or money, or who should be making decisions, or just deep-rooted sibling rivalry over who does Mom or Dad love best,” said the report’s author, Deborah B. Gentry, a professor emeritus at Illinois State University. “Most of the time siblings want what’s best for the parents,” Susanne Terry, a mediator in Danville, Vt., told the author. “They just look at it in a different way. 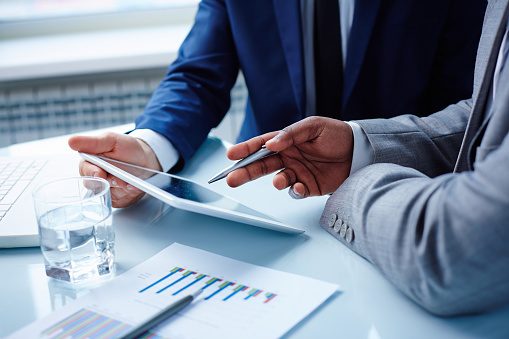 Does A Trust Offer Asset Protection? 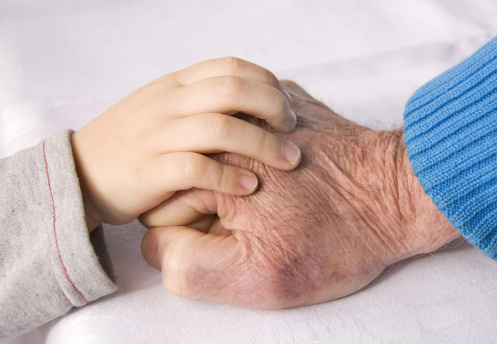 Have You Neglected Long Term Care Planning for Your Estate? How Does A Trust Help to Prevent Bad Decisions in The Future? Is It Possible You’ve Forgotten Assets in Your Estate Plan?